Robot Modes: God Ginrai consists of two (or three or four, depending on your point of view) different robots. The first is Ginrai, the robot resulting from the truck cab, who combines with his trailer to form Super Ginrai. He is the Japanese version of Powermaster Optimus Prime. The main differences between Ginrai and Powermaster Prime are that Ginrai is partially metal (whereas Prime was all plastic) and the slightly darker colour scheme. What was white or light grey on Prime is silver or dark grey on Ginrai. Also, Super Ginrai has retractable fists where Prime had none, which makes for a better look in vehicle mode. Cosmetics aside, Ginrai and Super Ginrai have the same strengths and weakness as Powermaster Prime. Great looks, but very little posability. The other half of God Ginrai is God Bomber. Looking at Bomber's robot mode, you quickly realize that his main purpose is to become armour for Super Ginrai, the robot mode is little more than an add-on. The robot is puzzled together from the various parts and his posability is restricted to his shoulders (and you can't move them too much, otherwise the arms will pop back off). All in all God Bomber is nice to look at, but no more than that. Alternate Modes: Ginrai's truck mode is superior to that of Powermaster Optimus Prime because his fists retract, giving him a more natural look than the Powermaster truck, who always had the fists sticking out on top. Otherwise the two trucks are identical. You can leave the truck "bare" or apply Ginrai's various weapons, turning it into a heavily armed assault machine. 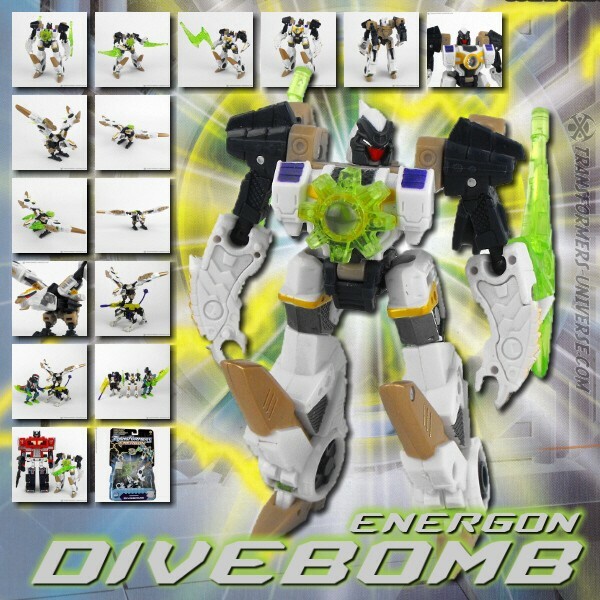 God Bomber also becomes a truck-like vehicle, but again, it suffers from being a jumble of puzzled-together parts. It doesn't look half-bad, at least from the front, but looking at it sideways really puts it down. God Bomber can either drive on his own, attach itself to the back of Ginrai's trailer, or be pulled by Ginrai in cab-mode. Combiner Modes: God Bomber becomes "armour" for Super Ginrai to put on, either completely or in parts. Super Ginrai can, for example, just put on the backpack and wings, giving him flight ability. He often did this in the cartoon and then carried God Bomber (what remains of him) to their destination. Alternatively he can just apply the extended arms or the chest plate with the cannon on his shoulder. The fully combined God Ginrai looks pretty cool, but only when you pull the legs apart. The main problem is that the leg extensions look like a pedestial when Ginrai has his legs together. That Super Ginrai's shoulder guns apply to the legs is an interesting feature. All in all God Ginrai has pretty much the same strengths and weaknesses as Super Ginrai, cool looks but a lack of posability. Remarks: In the Japanese Masterforce series, the third series after the classic G1 cartoon and the Japanese exclusive Headmaster series, featured an Optimus Prime / Convoy who wasn't. His name was Ginrai, he was human, and more or less stumbled upon a so-called Transector, a Transformer that needed to bond with a human in order to achieve sentience. Ginrai then found a trailer originally built to bond with Convoy, making him Super Ginrai, then got a further enhancement in God Bomber in order to combat the combined power of Overlord and Black Zarak (aka Scorponok). The figure was reissued in America as part of the Commemorative Series under the name Powermaster Optimus Prime / Apex Bomber. The toy itself is pretty cool, taking the already good figure of Powermaster Optimus Prime and enhancing it by adding an additional robot who could combine with it to form a larger figure. From today's standpoint the figure has some severe shortcomings in term of posability and proportions, but they don't drag it down much. God Ginrai is a fun toy and, in my opinion, much better than Powermaster Optimus Prime.